Dr Peter Hughes, Quayside Dental Clinic, Londonderry. The course involves a comprehensive programme of lectures, videos and ‘live treatments’ along with a thorough literature review. 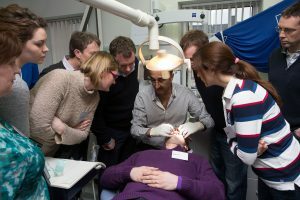 The aim of the course is to provide the participants with an excellent basis in contemporary ‘inter-disciplinary’ restorative, aesthetic & implant dentistry. The goal is to encourage participants to take their dentistry to the next level and to develop & improve their clinical practice of dentistry. In addition, the course will help participants develop a systematic and methodical approach to higher quality case management and treatment, with a better knowledge of the literature and clinical procedures involved. Aesthetic Restoration of Teeth – Full Coverage Restorations – Crown and Bridge part 2 with guest speaker: Patrick Rutten: The Art of Harmony – Crown and Bridge. Aesthetic Replacement of Teeth – Dental Implants part 1 with Guest speaker: Luc Rutten: How to create high end aesthetic results in implantology using the digital workflow and interdisciplinary planning – from a master technician viewpoint. Tidu Mankoo has built a reputation as one of the finest clinicians in Europe and a world leader in Aesthetic, Restorative & Implant Dentistry, with over 30 years of experience. Dr Mankoo’s work includes all aspects of dental implant treatments, All on 4, Implant-supported Fixed Dentures, advanced restorative dentistry, aesthetic dentistry, cosmetic dentistry, veneers, crowns and bridgework, bone and soft tissue reconstruction & grafting, plastic periodontal surgery, periodontal rehabilitation, occlusal reconstructions, perioprosthetic rehabilitation and full mouth rehabilitations. 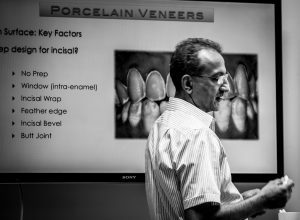 Qualifying from the University of Bristol in 1981 and based in Windsor, Berkshire since 1994 Tidu has pursued an extensive postgraduate education and continually strives to provide truly exceptional dentistry. An active member of numerous dental organisations and a respected teacher with numerous publications, he is a sought-after speaker particularly in the field of Dental Implants, comprehensive Aesthetic Dentistry and management of complex cases. He lectures and gives courses regularly all over the world and continues to publish on a regular basis. He was the President of the European Academy of Esthetic Dentistry (EAED) in 2009-2010, is a visiting Professor at the International University of Catalunya in Barcelona, Spain and a founder and Past President of the British Academy of Aesthetic Dentistry (BAAD). He serves on the Editorial Board of a number of dental journals. He is a respected teacher with numerous publications. He is a sought-after international speaker particularly in the field of Dental Implants, Restorative & Aesthetic Dentistry and management of complex cases. He lectures and gives courses regularly all over the world. He is an active member of the European Academy of Esthetic Dentistry, the Association of Dental Implantology (UK), the European Association of Osseointegration (EAO), Fellow of the International College of Dentists (FICD), and a fellow of the International Congress of Oral Implantologists. He has served on the Editorial Board of a number of dental journals and has published numerous articles in scientific journals and text books. Cancellations up to 8 weeks before the start of the course: full refund less £75.00 administration fee. Less than 8 weeks before the start of the course: no refund. Please note that if you have to miss one of the days for any reason then you will be eligible to attend that day on a future course. We reserves the right to refuse or cancel any booking. 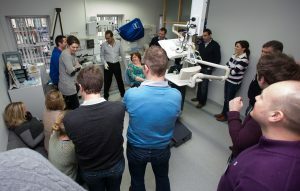 Photos or videos of the delegates on the course can be used for purposes of marketing future courses. Any patients being treated at a reduced fee as part of the course consents to clinical photographs & videos being used for teaching purposes.